Birchbox May!! I was so excited for this box because their last collaboration with teen vogue was such a great box.. I was expecting a gossip girl box would be out of this world! 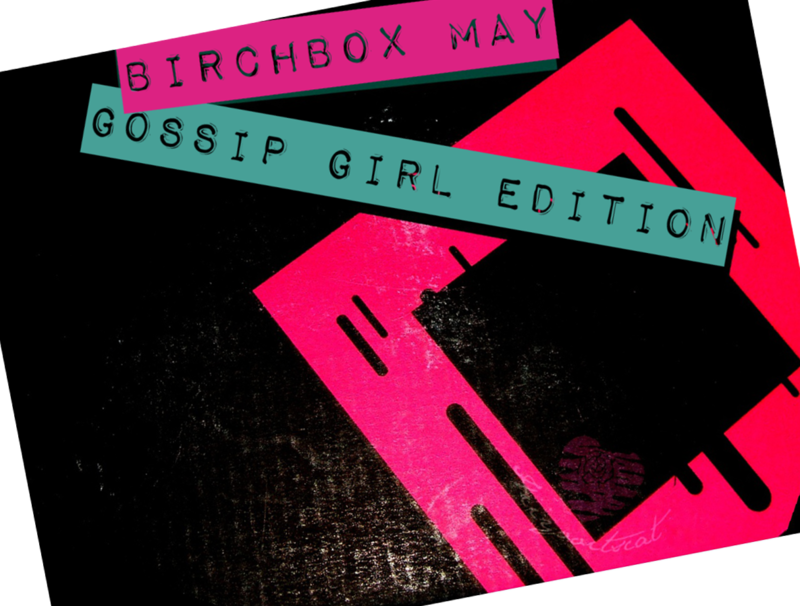 Some of them were (I've seen other peoples boxes).. mine was not bad at all though =) Read on to see what I received in my Gossip Girl BirchBox. Birchbox came in the mail as usual with their little black box =).. The post card is cute I wish it was a girls night out instead of a Sunday brunch. I think that would have fit me more. "Text messages are no match for handwritten notes on fun, modern stationery"
"Think of this four-in-one moisturizer, serum, sunscreen, and skin-perfecting tint as the (extremely stylish) Swiss Army Knife of your beauty lineup"
"Made with ultra nourishing Central American ojon oil, this weightless shampoo helps hair look and feel thicker"
I have yet to use this.. since I am currently testing out the Garnier Fructis from Bzzagent. I usually have good volume in my hair.. but that is usually in the morning because I like to sleep with my hair slightly damp. My hair tends to get volume that way because my pillow is pushing my hair up a bit. "Dark circles don't stand a chance against this rich eye cream, which softens fine lines and deflates puffiness with a unique microalgae compound"
"Give nails a gilded look with this luxe metallic polish"
Nail Polish!! I love nail polish. I received a mini color club. I really like the color and how it comes out. However, I don't know if it's suppose to be like this or not but the consistency is a bit thick and got thick quickly. I'm not sure if i should put nail polish thinner in it or not. You can kind of see the thickness of it in the 3rd picture. 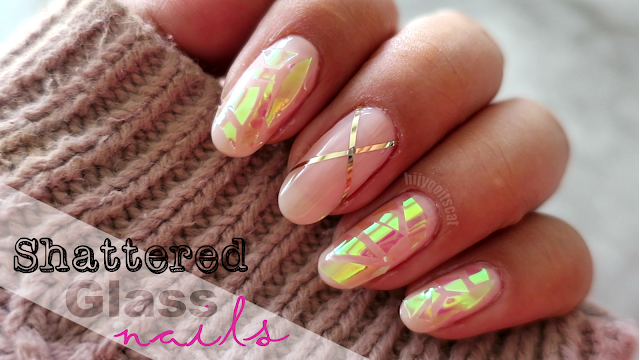 In the last picture you can see a sneak peek of my current nails.. that will be up soon! Once again the products for the gossirch! (gossip birch lol) but they could have been better. I really thought there would have been more make up because that is what everyone usually loves about gossip girl. The fashion and make up looks are always great and are what I usually like to look at besides the story line of course. Speaking of the story line.. I loved the ending.. and knew she was going to choose Chuck!.. It's really a cat and mouse game back and forth with them two. I loved the look on Chuck's face when Blair showed up and said she was going to chase him and her makeup was so flawless! Can't wait for the new season. The original Gossip Girl is back and Georgina will be back... I can just smell the drama.. (if drama had a smell of course) lol! If you have yet to try Birchbox.. I say give it a try =) $10 is not bad at all for a bunch of samples.. Usually Birchbox is good on giving deluxe samples. I will be subbing to Glossy Box and that might replace one of my current subscriptions! but I cannot wait! You can join through my referral link HERE. I will see you all in a later post. Bye bye and as always Thank You for reading. Too bad you didn't get a perfume..I really liked mine and the other samples that I saw in some review videos sounded great too. I really like the BB cream and how well it blends in and feels so light. I get burnt on my cheeks and nose easily, so this is really nice.